After hanging with Randy some at JIBE this past spring, I had to persue a dirt surfer. Yup. 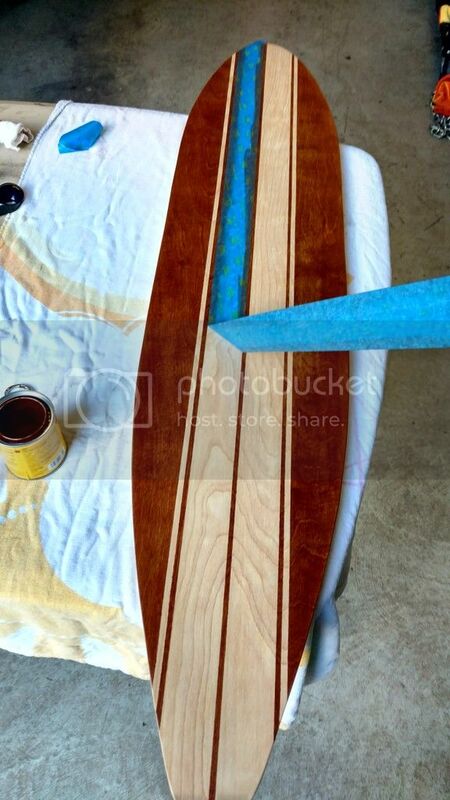 Going to be making a windsurfing ATB board. I was able to find a good starting place with some of Flyguy's older gear. I also wanted to give a huge shout out to Randy for helping me along the way with all his knowledge about dirtsurfing. Many emails and pics back and fourth. I'm finally on my way with the project. Great project. I do more water front walkways and parking lots than beach on mine. 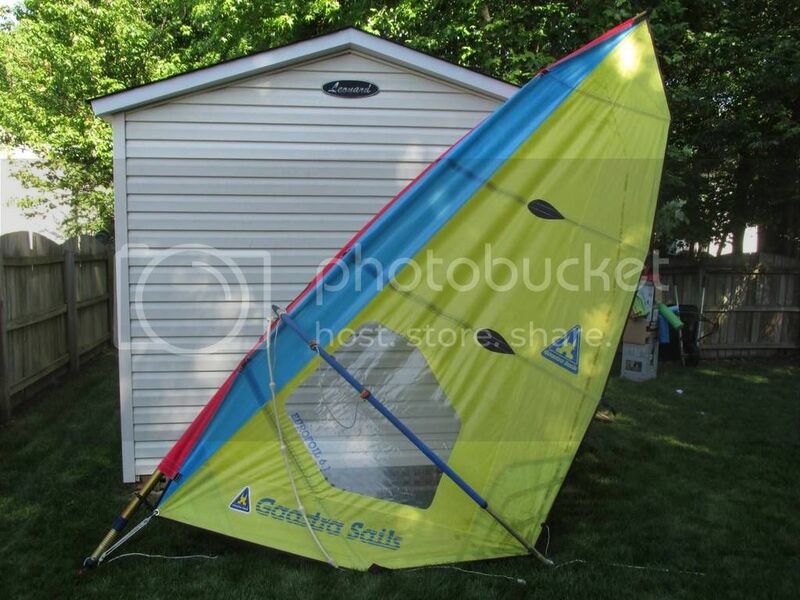 What size sail will you be using? Thanks Jeff! 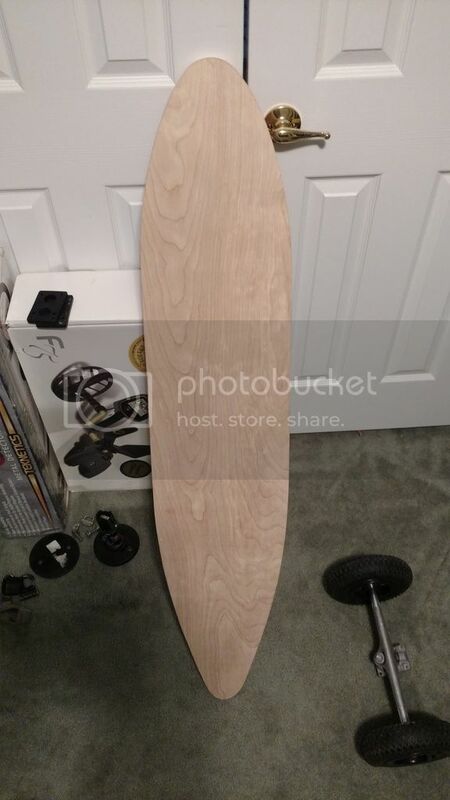 Im making my own Birch longboard deck. 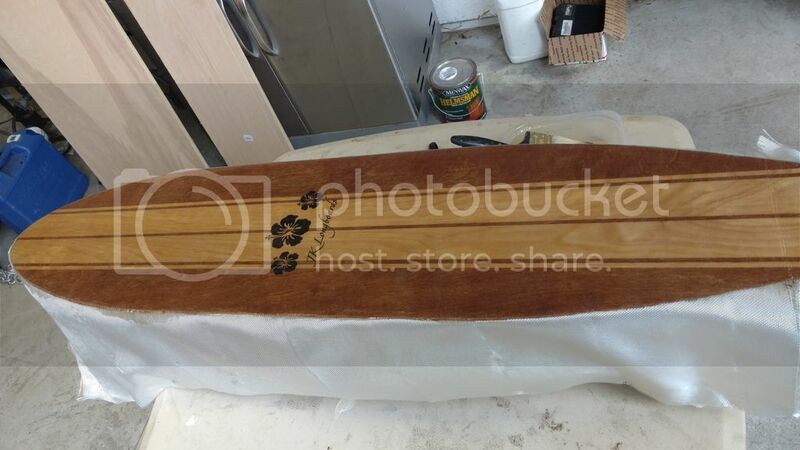 First thing was mock up a rough board shape. I made some custom​ initialed decals lol. 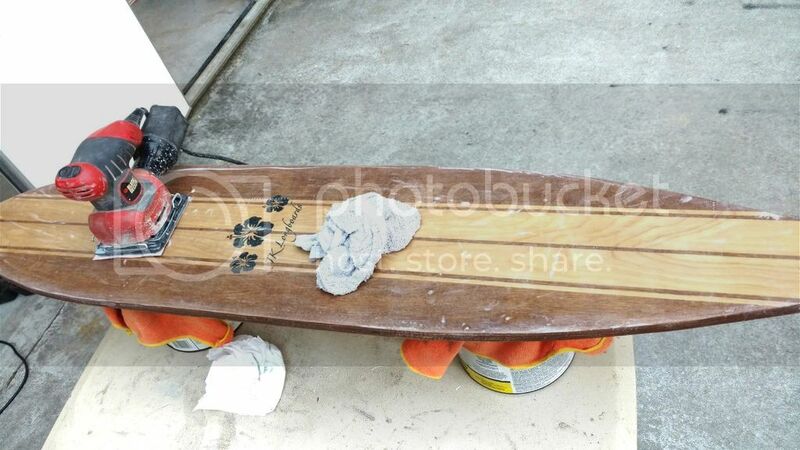 Adding some fiberglass and resin to the bottom side to help support the board flex. Only part that was a pain in @$$.... Wet sanding the resin smooth. I powder coated my trucks too the other day. Added some clear grip tape to the top as well. Now just need to take it up to the local park and give her a run. 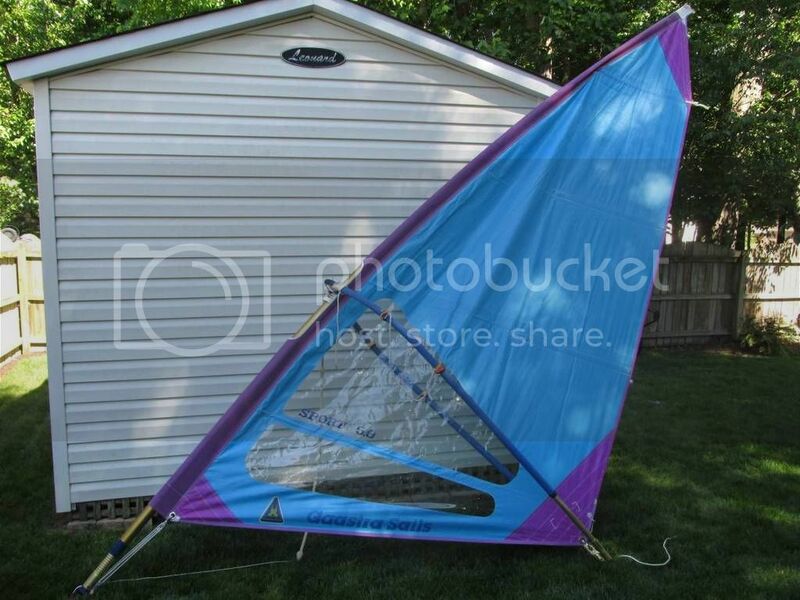 I've got a whole dirtsurfing rig with 6 sails and still cheaper than a new 3m fixed bridal kite rtf. Looks great. You got to tell us how to make those custom decals! Now all you need to do is add some wind! Thanks Randy! Made the decals with a cricut machine. I believe it's the Cricut Explore Air 2. You can pull any image off the web, and add your own font. I made a white one to go on the back of my truck glass too. Nice work! Would love to see some videos of it in action. So this morning I think to myself "my ankle is feeling much better since I rolled it a few weeks ago, I should go play with my kite this weekend." I then decide to come on here and see if I can get any tips on using my newest toy with the kite for the first time, click on the land boarding section, and lot and behold: a brand new thread talking about dirt surfing! What wonderful timing! 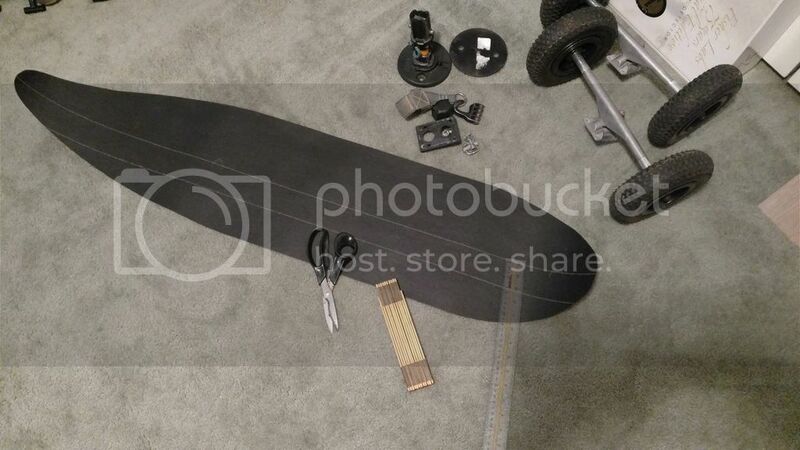 I start reading away while the pictures slowly load on my crappy internet, and then realize with sudden disappointment your new board has 4 wheels. Oh well, it's a beautiful build anyways. Guess I'll have to start a new thread and see if anyone has any experience or tips for kiting with a dirtsurfer of the two wheeled variety. Yeah.. there really isnt an official name for the sport. And she'll be sail powered. Looks great! Youve gotta make a video with it in action! Will do. Been doing some downhill runs in the grass without sails just to get a feel for the board again. 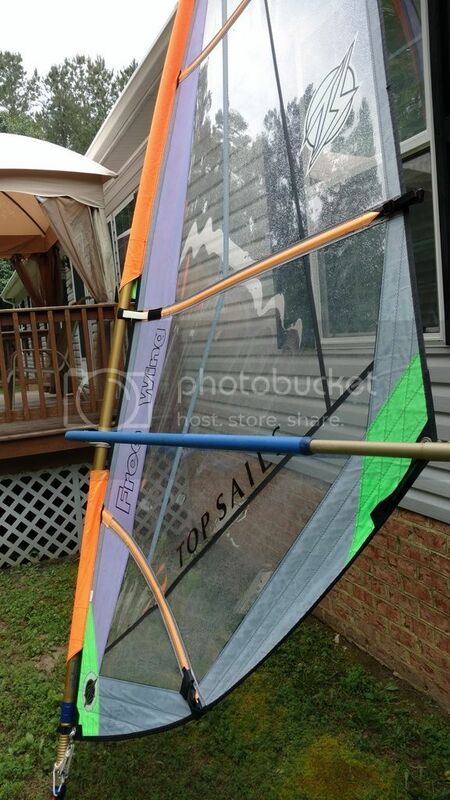 A few of the other sails I picked up dirt cheap. I have two booms. One is the clamp style, but the boom grip padding is all chewed up. The other boom is the tie on style. It took me a few tries to figure it out sadly, there isn't much info on the web about old school booms. At least not that I found. I'll definitely get a close up the next time I rig it up. It's not much help, but basically criss cross the rope around the mast then cinch it through he cleat. I'm sure it's not the correct way, but it holds very tight Jeff. That is a beauty! Can't wait to see some action footage. Go dog do! Randy, the gold boom is the one that came with all those sails I picked up a few weeks ago. Yes Scott's boom has the clamp, but the grips need replacing. By grip do you mean the rubber part that touches the mast? If so, I just use double sided foam tape one mine when rubber fails. It will work fine. If you are referring to the blue foam rubber on the boom arms - be pretty hard to find that - from the picture you sent, those looked ok though. 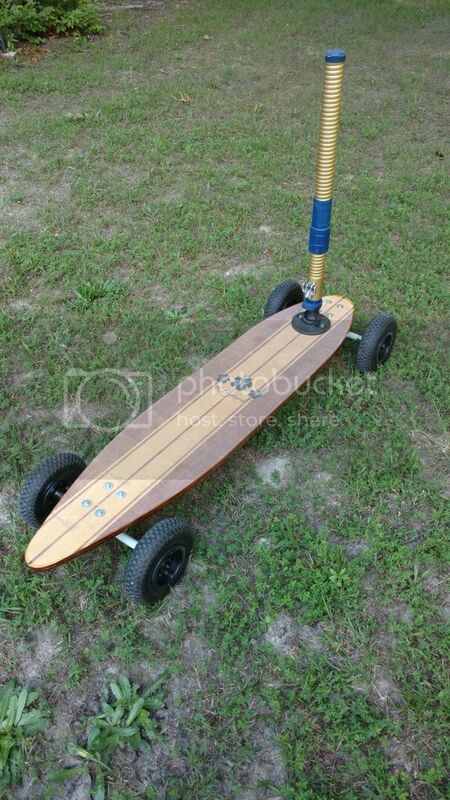 BTW - earlier you mentioned trying the board downhill. 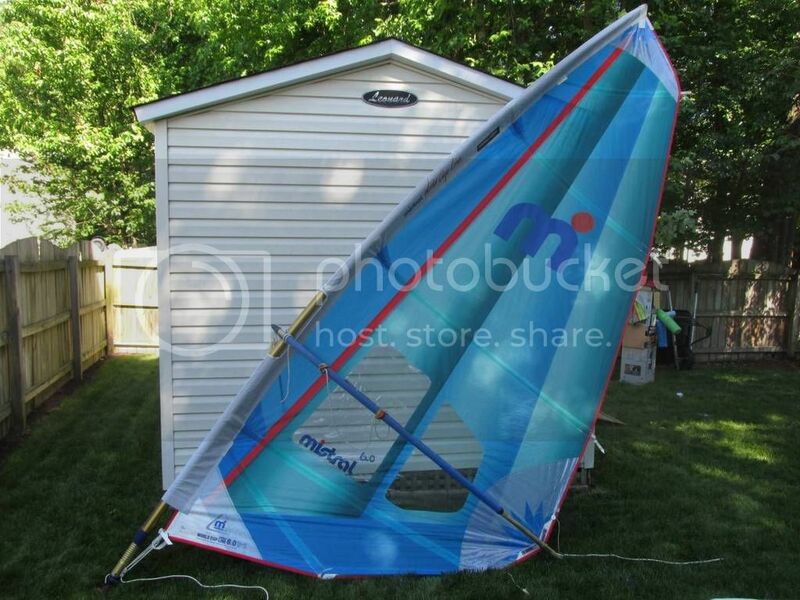 Next thing is to try it with the sail downhill in light or no wind, using the sail as a brake, and turning. If it we me I would probably start with whatever sail you have that looks the worst. Have fun - can't wait for action video or photos. I grabbed a few screen shots for you - the way Jason has it looks pretty good too especially if you have that cleat that you can tighten with it in position. BTW - check and see if the top batten tip shown needs to be in what looks like the pocket rather than touching the mast list that. Won't hurt the mast, but should work better if its in the pocket - I've never seen one where the batten tip isn't in a pocket. Now - maybe its a cam - if so, its just the way it is supposed to be. 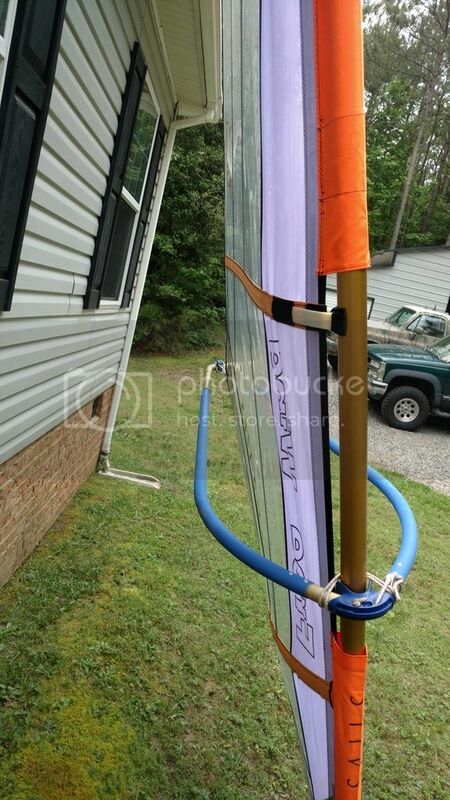 Markite - I'm impressed - I've been windsurfing 20 years and only known one guy who still knew how to tie a tie on boom. I'm a little confused about how you turn about with these super cool wind-rides. Do you swing the sail out in front of the board? I watched a couple of videos just now, but they skipped the turns. Nothing wrong with cams, but I'd save the 3 cam sail for setting a speed record on the beach. I like your boom much better Scott. The clamp is a lifesaver. I'm tracking down some foam grip replacement as we speak. I'm also using your extension and mast for the 4m I picked up. That has a 390 luft so your 410 mast is perfect for that sail. The other sails are 450 ish so I have to use the 460 mast. 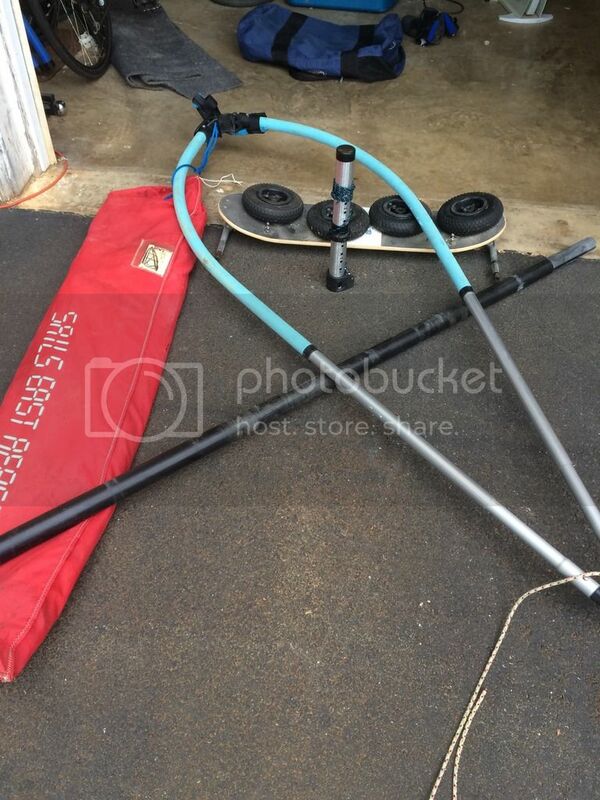 I was just going after the couple sails I found on Craigslist the other day, but the guy had another mast, boom and a whole bag of goodies. They are very old school, but in good shape. I modified his extension to work with the Chinook base. Randy, it's looking like the Gaastra sport 5.0 is going to be the most user friendly just from playing around in the yard. Sweet sail! Cool beans. Thanks for the quick response. I'm looking forward to seeing your early footage in all its bloody glory! Actually, I hope to see no blood. Please edit liberally. There Will Be Blood, of that I'm sure, but this is a family channel. Honestly, cool project, and a fantastically super looking board. I particularly liked seeing the photo diary of its construction. VERY cool Jason!... the deck looks outstanding! Phenomenal job on the staining and striping!!! What thickness of plywood did you use? Thanks Spencer! It's cabinet grade birch. 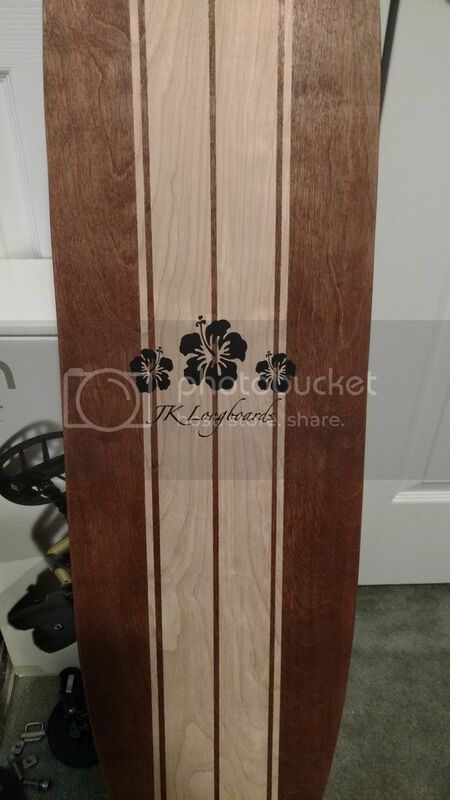 7 or 9 ply laminated. Other hardwoods are prone to split and checks. On a whole other level, you can use two sheets of 3 ply with quality wood glue. With two sheets you can form kicktails and concaves with the aid of clamps and jigs. 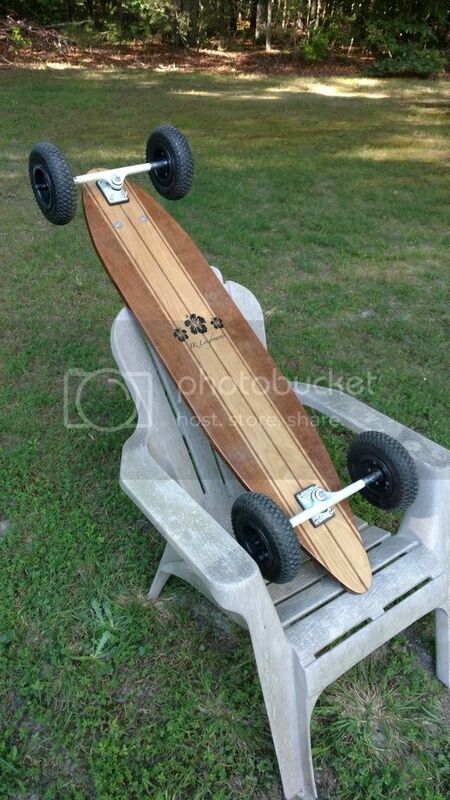 I chose the long board for simple cruising. Tradeoff is a wider turning radius. I'll get a shorter wheelbase ATB if I go the freestyle route in the future. Doubtful though.